Anyone can take advantage of our patent pending organizational system and dynamic online community! Faculty who use our convenient storage and search system save valuable time and energy when providing feedback to students, posting in discussion boards, and setting up course announcements and lectures. Our folder system allows you to save, access, and manage your course materials, links, feedback, files, and everything you need in a way that makes organizational sense. In addition, the FacultyFiles.com storage area for your discussion reply posts contains a convenient search feature so you can easily store, search, and reuse discussion reply posts! 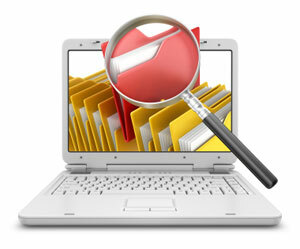 Stop wasting valuable time searching your desktop for files! Use our patent pending organizational system instead! Even if you aren't yet teaching yet, but would like to get hired to teach online, we offer an active community filled with employment resources and opportunities that allow you to connect with others teaching and hiring in your field! Our personal job search agent will look at your CV to determine what you are qualified to teach and then search the job boards for you! Sign up today!